Performance expert John Hester identifies four common mistakes that managers make when they set goals for employees in the latest issue of Ignite! The negative result is poor or misaligned performance, accountability issues, blame and resentment—not to mention countless hours spent reviewing tasks and redoing work. 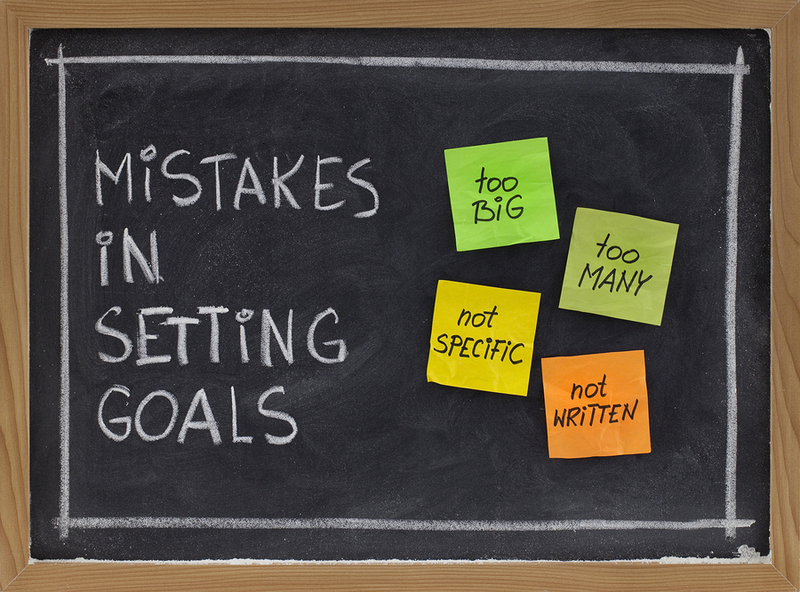 Wondering if you might be making some of these common mistakes in your own goal setting with employees? Here’s what Hester warns against. Goals are not realistic. Stretch goals are great, but if they are out of reach they become demotivating and can even cause some employees to engage in unethical behavior to achieve them. In addition to making sure a goal is attainable, goals should be monitored and adjusted as needed during the year. Setting too many goals. When employees have too many goals they can easily lose track of what is important and spend time on the ones they “want” to do or that are easier to accomplish whether or not they are the highest priority. Setting goals and then walking away. Goal setting is the beginning of the process, not an end in itself. Once goals are set, managers need to meet regularly to provide support and direction to help employees achieve their goals. Setting a “how” goal instead of a “what” goal. Goals should indicate “what” is to be accomplished—the end in mind—not “how” it should be accomplished. For managers looking to make their goal setting and performance planning more effective, Hester recommends focusing on three key areas. Approach goal-setting as a partnership. Recognize that performance planning is not something that you should do alone. This is something to be done in partnership with your team member. It’s a collaborative process. So the manager needs to know what the employee’s key areas of responsibility are, what is expected in the role, and what they want to see in terms of performance. The key is to have that discussion with the employee. Diagnose competence and commitment levels. Finally, managers need to consider an employee’s individual competence and commitment level for a task. It’s a common mistake to assume that because a person is a veteran employee, they will be experienced at any new task that might be set before them. This is often incorrect. It’s important that a manager find out about experience with a specific task and then partner with the employee to determine what they need in terms of direction and support to be successful with this particular assignment. To learn more about Hester’s advice for improved goal setting and performance with your people, be sure to check out the article Goal Setting Needs to Be a Partnership. Also be sure to check out Hester’s January 23 webinar on Performance Planning: 5 ways to set your people up for success—it’s free courtesy of Cisco WebEx and The Ken Blanchard Companies. January 10, 2013 in Accountability, Alignment, Best Practices, Employee Engagement, Employee Productivity, Employee Work Passion, Goal Setting, Performance Expectations, Performance Management, Talent Management. The additional ‘M’ is so important, especially for those employees that are motivated by intrinsic rewards. I think many organizations feel that they can throw money at the problem of disengagement. Sometimes it is as easy as collecting their input on the value of achieving the goal and building on that as motivation. Great post. Thank you for providing excellent content to read with my coffee in the morning! Reblogged this on "KnoGimmicks" Social Media . My company uses from a long time the well known SMART methodology and, at the end works well. Great article. i particularly like the inclusion of the second M, motivation, which in my opinion is more important any of the other SMART points. I agree that motivation is a fundamental part of goal setting. It never even occurred to me that the SMART formula initially did not include this – or rather slipped past me! On another note, I did hear somewhere that the employees aren’t as often motivated because of their lack of investment in the creation process. That is creation of the business from the ground up.